Marriage is a wonderful thing, but it does have its ups and downs. Today, we’re talking about some common attitudes that couples find themselves having to battle. 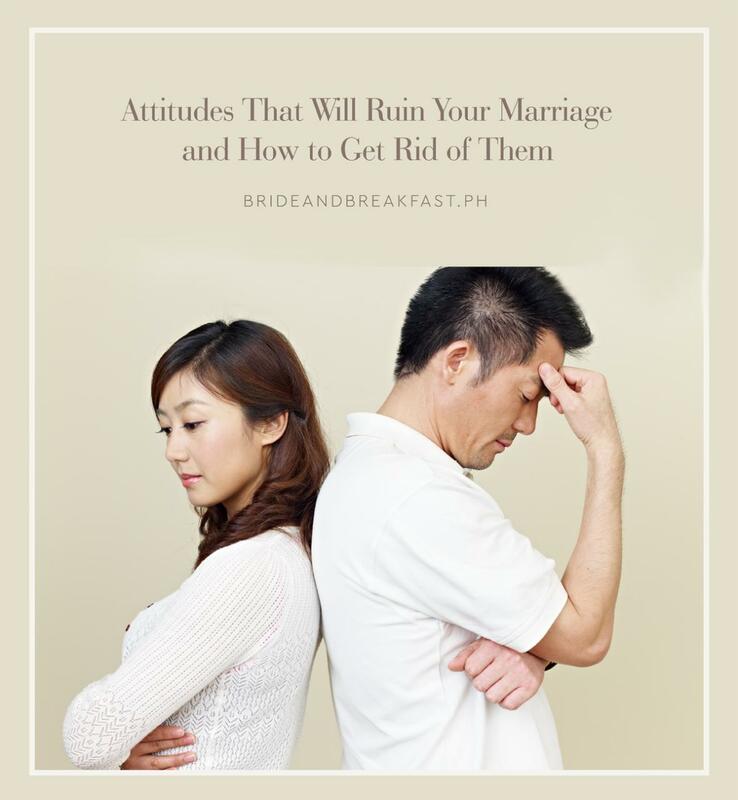 But don’t be discouraged, we’ll also be talking about what you can do to proactively and intentionally counter them, so that your marriage can turn out to be even better than you ever imagined. The dictionary describes it as “the expression of disapproval of someone or something based on perceived faults or mistakes”. Many times we criticize our partners for their actions, decisions, and even character traits. Criticism can come in small discouraging comments that may seem harmless, as well as hurtful judgements during big arguments. I have a tendency to be a backseat driver, and I often used to criticize the route my husband took whenever we ended up in traffic. These were small blows to his ego, which I thought weren’t really a big deal. Up until out of frustration, he said, “Nothing is ever good for you. Why don’t you try driving?” This is just one of the many instances I criticized my husband. Through the years of being married, I learned that encouragement actually goes a long way, and is much better than correction. Celebrating your partner’s strengths will not only boost their confidence, it will also push them to try harder and be better with things they are weak at. I am not saying you should never talk about anything that needs improvement. In fact I encourage it. But there is such as thing as the right time, the right place, and the right tone. Respect is reflected in the way we talk to each other. And a marriage built on respect is crucial. Contempt is thinking you are better than your partner. As the years go by, this can slowly creep in in your marriage if you are not careful. And when it does, it carries along bitterness and frustration with it. This is easier said than done. But remember that marriage isn’t a game of who’s better than the other. In fact, a saying goes that when you win an argument, you lose a spouse. But when you lose an argument, your marriage wins. Instead of focusing on what you are better at compared to your partner, think of your weaknesses and focus on improving them. The more we realize that we aren’t perfect ourselves, the more forgiving we are towards others. Always being on the defensive can be tiring for both you and your partner. Simple arguments turn into hours (with you sometimes forgetting what you even fought about in the first place!). Your partner should be your greatest ally in life. When you receive correction or suggestions from them, remember they are not out there to hurt you. Sometimes we just need take a few deep breaths before speaking our mind. The opposite extreme of defensiveness is stonewalling. This is when you disengage or stop interacting with your partner. When some people feel too hurt, their tendency is to clam up and shutdown. Even if you are not saying hurtful words, the danger of this is that you will slowly but surely drift apart. For both parties, it’s always good to think before you speak. There are great communication practices that will allow your conversations to be better. Setting talks when both are not stressed, or practicing tones that don’t sound like you are attacking your partner, will also help them not be on defensive mode. Practicing expressing emotion and listening to one another will make each of you feel safe. When you invest on improving communication practices, you will find that both of you will have lesser things to quarrel about. You may not learn it overnight, but keep trying. I promise it is worth it.